Fasten your ISO seatbelts everyone! It’s going to be a bumpy one… But wait! It doesn’t have to be — not with Ruth’s recommendations! September 2015 marked the publication of the International Organization for Standardization’s new ISO 9001:2015 standard, with companies around the world fearing that they’d have their work cut out for them in implementing the new standard. In contrast to ISO 9001:2008, the revised standard now places greater emphasis on areas such as involvement from top management, change and risk management, and performance and evaluation management. Companies have therefore become increasingly concerned over the large amounts of investment potentially involved in terms of both time and money. For example, from a financial perspective, a company may need to draft in assistance from an external consultant to assess its existing processes and identify key areas for development. As regards time, depending on the size and structure of the organisation, implementation may take anywhere from six months to twelve months. Can your company afford to invest that amount of time? If you are struggling to make head or tail of the new ISO 9001:2015 standard or are drawing a blank in knowing where to start, then look no further! Here are STB’s handy hints on ensuring that the transition from the ISO 9001:2008 standard is a smooth one. As mentioned above, it is essential that those at the top are fully engaged with the implementation of the new standard and the company’s Quality Management System (QMS) in general. 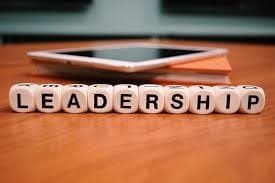 Whilst the leadership requirements in the new draft are similar to those specified in ISO 9001:2008, there is a greater need to demonstrate commitment from management. One example is guaranteeing that the QMS is integral to the business’ processes as opposed to a mere afterthought. Without this level of commitment, the QMS may be at risk of falling by the wayside and you may be more in danger of failing your annual ISO audit. The latest draft deals with the notion of assessing and addressing risks and making decisions on what action should be taken to minimise them. “How do we do that?” I hear you ask. Brainstorming your company’s existing and potential risks are a great way to get those creative juices flowing. In addition, consider external risks such as the enforcement of new laws and/or internal risks such as having a high staff turnover, and document these on a spreadsheet or a SWOT analysis. 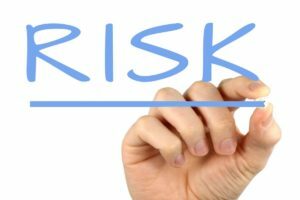 As a way of ensuring the longevity of a business and allowing it to grow further, it is important to incorporate some form of risk assessment into the company’s processes. If you are intending to make significant changes to the internal procedures and essentially your QMS, it is imperative that these changes are communicated to all members of staff so that they can follow procedures correctly once you roll out the new system. Rather than adopting the not-so-popular finger wagging approach, it may be best to explain the ethos underlying the ISO 9001:2015 standard to get colleagues and employees on board more easily. As the old saying goes, ‘communication is key!’. Here at STB, the task of upgrading to the new ISO 9001:2015 standard was a huge deal for us. Our quality management system — or rather the notion of quality itself — is at the heart of everything STB does and so we wanted to make sure that we passed, no matter what. However, we needn’t have worried; we passed our January audit with flying colours and are now fully certified to the ISO 9001:2015 standard (not forgetting the BS EN 17100 translation standard too!). Organisations must comply with the requirements of the ISO 9001:2015 standard before September 2018 – for some of you that might mean putting the pedal to the metal before it is too late! If you are looking to clinch that crucial deal, invest time and money into your QMS and upgrade to the new ISO 9001:2015 standard to stay ahead of your key competitors; it could even function as one of your USPs. At STB we pride ourselves on delivering top-notch translations, so feel free to send an email to hello@surreytranslation.co.uk for all your translation requirements. This year we once again passed our ISO inspection with flying colours; this ensured the renewal of both our ISO 9001:2008 and BS EN 15038:2006 certificates. As well as looking very pretty in their display frames that add a welcome splash of monochrome to our lobby, these certificates prove that we have a robust and consistent quality control system in place for all service levels that we offer. BS EN 15038:2006 in particular really marks us out as a provider of high-quality translation services. This ‘European Quality Standard for Translation Service Providers’ covers both the core translation process and all other related aspects; among these are quality assurance and traceability. It emphasises the high-level of professional competence required by everyone involved in the translation process; from recognised translation qualifications or documented professional experience to the importance of a final review stage. The inspection covered all facets of our business. This included the initial quotes to our communications with clients and suppliers to the polished final product. The inspector verified that our documented procedures meet the stringent requirements of the standard; there was also an on-the-spot check of a random selection of projects to ensure that we complete all projects to the same consistently high standards. If you’ve not dotted the i’s and crossed the t’s, you’re sure to be found wanting! He also scrutinised the reports from our quarterly audits, weekly translation spot checks, and examined our continuous improvement process. There aren’t many translation companies that can boast both of these certifications; the hard work that we put into our quality assurance system is something that sets us apart from our competitors. We’re proud that this recognises the efforts made all year round by our staff. When we say that we have rigorous procedures in place to guarantee quality, you don’t just have to take our word for it. To find out more about our commitment to quality translations, why not have a read of our quality & confidentiality page, or contact hello@surreytranslation.co.uk for a direct quote.